Some people still think I look not a day over 25. A really huge compliment that always makes my day! What they don't see up close are the fine lines and wrinkles that are slowly aging my skin. I am over 30 and wrinkles are "natural" to have by this age. I'm not super desperate nor super conscious about it either that I would go to extreme measures and get Botox regularly or facial surgery for it. I just want to delay them just a few years, hence my very serious-take on my skincare regimen in addition to working out and eating healthy. 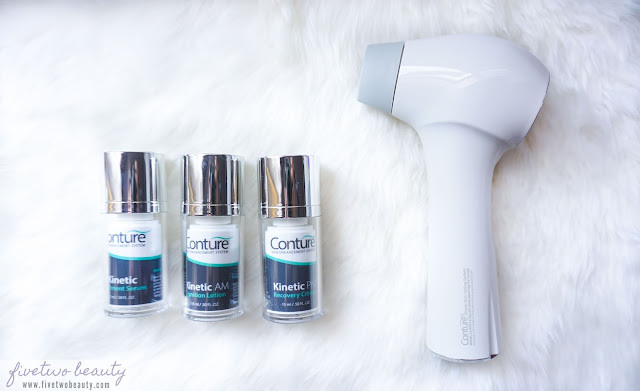 I have been using this device, and the products they have sent me, for the past two months already, and I'm ready to share you my results and overall thoughts on this tool. If you haven't read my first impression on this system, click HERE! The serum lasted me for about a month as I used it twice a day. I strictly just used these products with my Tazorac cream (prescripted retinoid cream) and sunscreen in the morning. 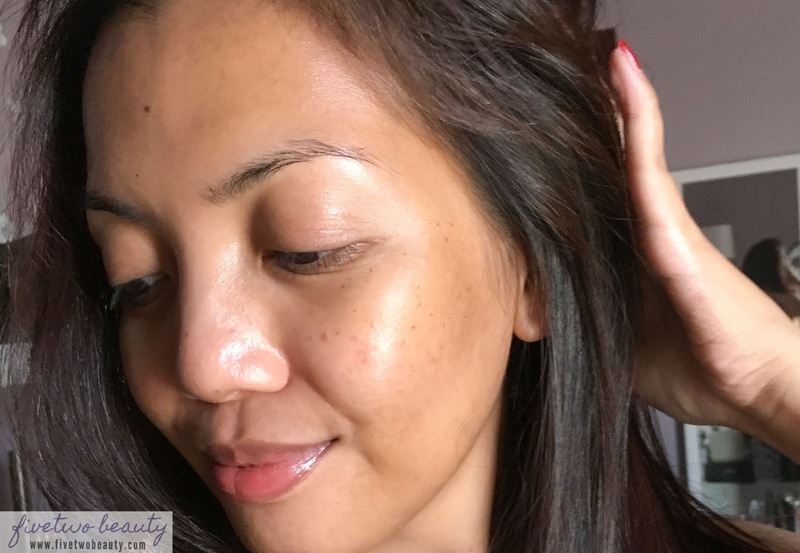 Without using any other moisturizers during the trial period, I noticed my skin had dry patches, which the Tazorac cream does to my skin if I don't moisturize enough. Unfortunately, these products weren't as moisturing as I would like. I couldn't stand how dry my skin looked so I had to add a moisturizer and a night cream to my routine by week four. I definitely will not be repurchasing these products since it did nothing to my skin! It wasn't hydrating nor moisturizing enough. 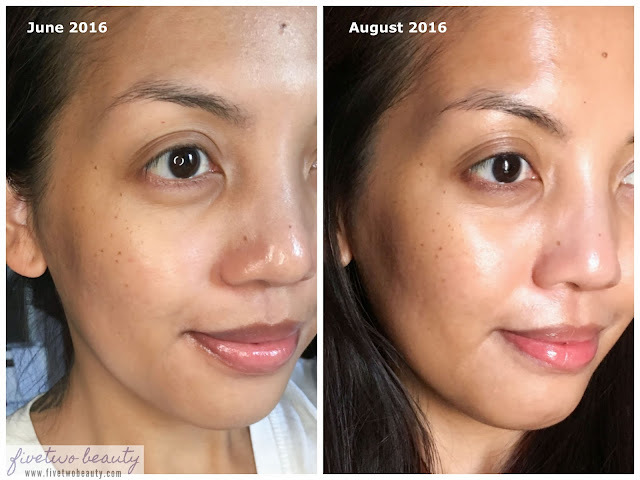 Once I went back to my favorite serum and moisturizers, the dry patches went away and my skin looks healthier and more hydrated. Besides the slight tan I got, I've noticed my skin looks plumper- if that makes sense, and is glowing! The texture of my skin feels smoother. After using the device, my moisturizer and sunscreen sinks into the skin right away. My makeup goes on smoothly, once the dry patches went away. The battery on this last for two weeks. After charging it for 6-10 hours, I am good again for two weeks. The Conture Kinetic Toning Device gently lifts and releases targeted skin zones at low-frequency vibrations to safely stimulate the skin. By doing this to your skin, eventually it will help to reduce the fine lines and wrinkles, improves the smoothness and evenness, facial firmness and skin's radiance and luminosity. I have seen my smile lines have improved. I don't see any improvements yet on my under eye wrinkles and crows feet, but maybe few more months of use, this can delay it from getting worse. This was hard to use on my forehead since it wasn't catching my skin- I'm not sure if that's a good thing, would that mean my forehead is nice and tight? I pretty much just use this around my cheek area and skip the neck too since it wasn't catching my skin there either. I don't think these wrinkles will ever go away but if this device can help to not make them worse, then I'll definitely keep using it. Overall, I cannot go through my AM and PM skincare regimen without using this device. I love the gentle tugging it does to my skin that makes my skin red for a moment, just like how you would pinch your cheeks to get that natural rosy color. I feel like I'm giving my skin a quick facial massage twice a day, everyday without the expensive price tag. Plus, I get to use this device still with my preferred skin care products! I'll definitely be using this until this breaks on me. I think this is worth getting, if you like to invest on better looking skin, who doesn't? Though I don't think this is for everyone since this will take up some time into your morning and evening routine. So if you can't find that extra time onto your everyday schedule, this may end up just sitting on your vanity. If you don't like invasive skincare procedures such as Botox or Vampire facials (*not sure how that works, I just saw that on Real Housewives), then take a look into this device and see if it fits your lifestyle. 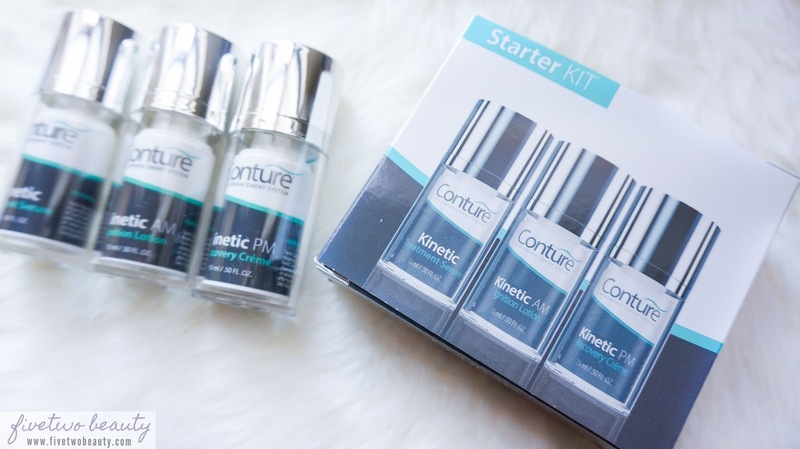 *Conture Kinetic Toning System and Kit was sent to FiveTwo Beauty for review. All opinions stated on this post are 100% mine. Please see the Disclosure Policy tab for full information. Did you know you can create short urls with AdFly and make cash for every click on your shortened urls.